We're celebrating the impact of eight teacher leaders in the profiles below. The Teaching Excellence and Achievement (TEA) Program, International Leaders in Education Program (ILEP), and Teachers for Global Classrooms (TGC) Program provide teachers with professional development opportunities to enhance their skills and knowledge in global education. The programs range from six weeks to one year and are programs of the Bureau of Educational and Cultural Affairs of the US Department of State and are administered by IREX. A high school English teacher in Zaria, Nigeria, Habiba Mohammed built upon her 2014 TEA program at Bowling Green State University to expand her efforts to keep rural and low-income urban adolescent girls in school in her community and beyond. Mohammed coleads the nonprofit Center for Girls’ Education. Through the Center, she applied for and was awarded funds from the MacArthur Foundation and the Malala Fund to create safe spaces and offer an additional 400 girls in her region intensive literacy and numeracy skills, life and vocational skills, and reproductive health information in an effort to keep the girls in school. She works with community members, religious leaders, parents, and government officials to support her efforts. Mohammed’s organization, the Center for Girls’ Education, serves as a learning hub for girls in Nigeria and West Africa more broadly. She is driven by the vision that no child should be left without education in Nigeria. We have started a pilot of our "out of school" safe spaces for girls and have enrolled over 300 girls for 2 years. Over 50% are now in formal schools. TEA is sponsored by the US Department of State, Bureau of Educational and Cultural Affairs, and is administered by IREX. 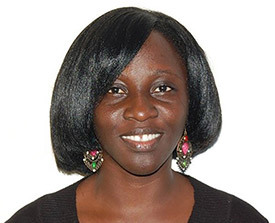 Initially inspired by the “Teacher Leadership” session at the 2014 ILEP Welcome Program, and following an experience teaching at an all-girls charter school in Albany, New York, Adeline Nyabu returned to Ghana ready to spearhead a change in student leadership structures. Recognizing that many of the leadership roles at her school were filled by young men, she drew on her experience at the College of Saint Rose to outline an effort to increase academic performance and school attendance for girls. Coordinating with two other ILEP alumni, 60 female students successfully completed the mentorship program in 2015. Nyabu hopes to continue to implement trainings in other schools in her community in the near future. [Girls] are socialized to think that men are the voices of society, but the Girls Empowerment League breaks that perception. ILEP is sponsored by the US Department of State, Bureau of Educational and Cultural Affairs, and is administered by IREX. Upon returning from his trip to Indonesia in 2012 with the Teachers for Global Classrooms program, Seth Brady developed a Global Scholar Certificate Program for high school students in Naperville, Illinois. The certificate program is an endorsement of global competency. Students earn certificates by completing academic coursework, globally focused service learning, and a capstone project. 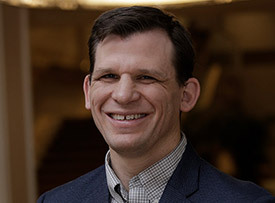 The commitment united Brady’s previous interests in comparative religions and global citizenship, and led to his being named as a finalist for Illinois Teacher of the Year in 2014. In the fall of 2016, the Global Scholar Certificate was signed into state law by Governor Rauner. Brady continues to champion the certificate program, as do other Illinois-based TGC alumni and teachers committed to leading the way in integrating global competence instruction into the classroom. It really gives students a competitive leg up on applying to [colleges]. TGC is sponsored by the US Department of State, Bureau of Educational and Cultural Affairs, and is administered by IREX. Prior to participating in the Teachers for Global Classrooms Program in 2014, Kirstin Bullington struggled with how to globalize her science classrooms in Columbia, South Carolina. 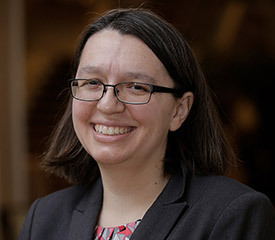 After completing the program and focusing on the “taking action” component of global competence, Bullington encouraged her students to collaborate with others around the world to tackle issues of global energy disparity. Bullington continues to view her work through a global lens. She builds classes around addressing the engineering problems the world faces and engaging her students through problem-based learning. After connecting with local secondary school teachers during the International Field Experience component of TGC, Bullington worked to continue the partnerships back in the United States. Her students currently collaborate with peers in Senegal to work on improving solar batteries and chargers in Kolda (which is in rural southern Senegal) and at home, with students and teachers from various ethnic and religious backgrounds. I realized... I can reinvent the curriculum so we are finding ways to address global issues using engineering skills and knowledge. 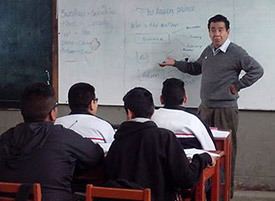 Drawing on curriculum design concepts and gender equitable practices emphasized during his time in the TEA program at Bowling Green State University, Ledesma is now a national teacher trainer in Peru. Ledesma was one of the engineers of a countrywide Peruvian Ministry of Education Initiative that works to advance girls’ education through parental, teacher, and student involvement. Focusing on addressing student socioemotional needs, combating traditional hierarchies, and integrating these values into local school curriculum, Ledesma works to advance gender equity through the initiative's teacher trainings. So far, 2,000 public schools in Peru have taken part in the trainings. Aside from working in the classroom and with the Ministry, Ledesma works with PROHUPE (Profesores Humanistas del Peru), a nonprofit that provides scholarships to adolescent pregnant women, giving them the opportunity to complete their education. When I was [in the US], I finally understood clearly what I have to do, and that’s why I have to continue my work to teach students and parents about gender. Since violence erupted in Syria in 2012, children and their families have fled to refugee camps in neighboring Jordan. 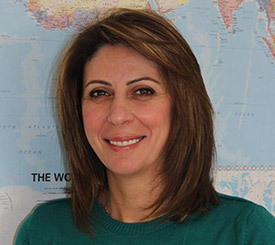 Muna Alquran is a teacher support officer for the Norwegian Refugee Council in three of the main camps. She leads workshops for more than 160 young student teachers, many of whom lack practical classroom experience. With her help, these teachers achieve accreditation, and assist their students in getting caught up with the Jordanian curriculum. During her TEA fellowship Alquran learned that students retain more information when teachers avoid using rote memorization and lecture styles, and when they actively involve students in the learning process. With this idea in mind, Alquran trains the Syrian teachers in using new pedagogies, such as student-centered learning, reading and writing workshops, active learning techniques, and group work. I do my best to... integrate the students in the learning process: to make them practice, to make them work and learn on their own. Responding to student interest in technologically centered methods of language instruction, Baman Ghimire conducts training sessions for MOOCs (massive open online courses) in rural Nepal. 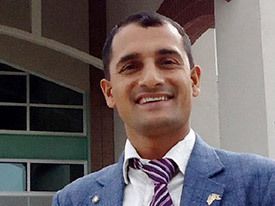 After returning from the United States, where he was first introduced to MOOCs, Ghimire began to train both students and teachers in his village. What began as a small endeavor quickly developed into trainings that reached young students and tenured educators alike. Afterschool groups accompanied the trainings, reinforced learning, and allowed students who mastered the courses to train students and teachers around Nepal. Now my students know how to best exploit the internet, and they developed their digital literacy and their English-language skills. While in the United States, Musammat Badrunnesha visited many local municipality offices in Huntsville, Alabama. 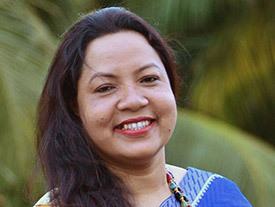 Inspired by the comprehensive community approach to tackling important education challenges, she used this experience to launch her own nonprofit organization in Bangladesh upon returning home from the TEA program. Focused on improving girls’ education and women’s opportunities in the madrasas of rural Bangladesh, the Empowerment and Human Development Society NGO establishes school-based girls clubs which serve to empower both students and teachers. Community-based camps, professional development trainings, and other projects help participants gain confidence and encourage continued enrollment. They have directly resulted in improved teacher performance in the classroom. Due in part to her work after the TEA program, Badrunnesha was awarded a highly competitive Echidna Global Scholars Fellowship at the Brookings Institution in the summer of 2015. Badrunnesha continues to work toward improving access to quality education for girls in rural Bangladesh, and to date has worked with over 300 madrasas. Badrunnesha established Captain Academy in 2015. The TEA program laid the groundwork for me to start my girls’ empowerment work.